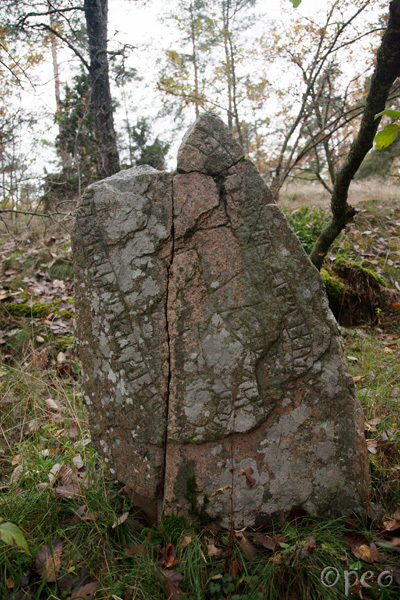 Þorsteinn had this stone raised in memory of Jôrundr, his son. 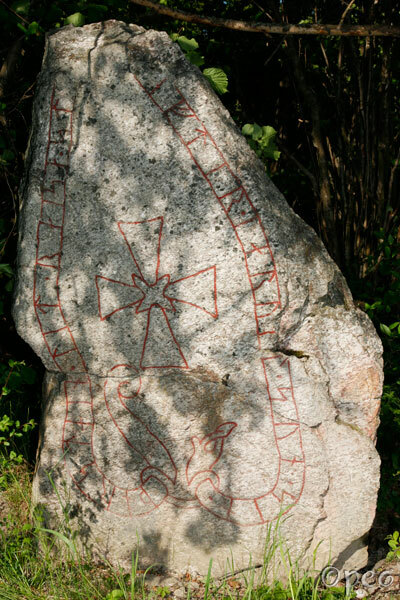 The message on this rune stone is a very common one : somebody raised this stone in memory of somebody else + what relationship they had to each other. A nonsense-inscription. The runes are clear enough, but the text makes no sense. The upper part of the stone is missing, but the stone was well documented before it was broken.